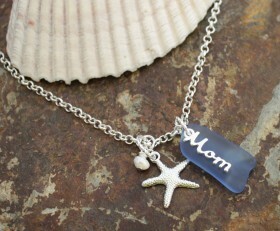 This necklace is perfect for the mom who loves the beach. 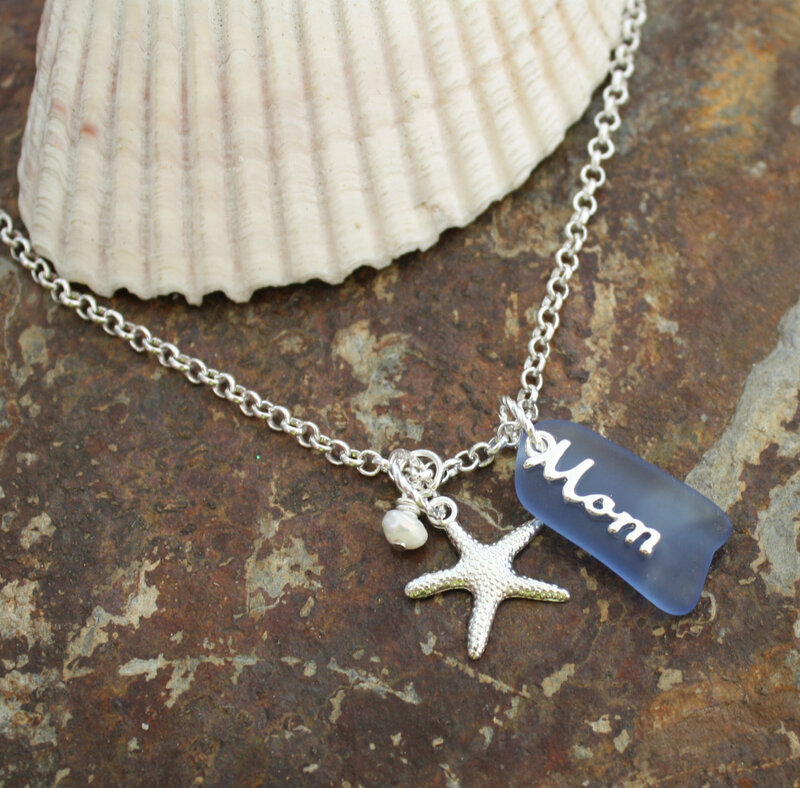 Sea glass stone has a charm that spells out “Mom” with it. A starfish and majorica pearl finishes it off. Categories: Beach, Surf Sun Necklaces, Beach, Surf, Sun Jewelry, Family, Sea Glass.